Adidas Energy Bounce Review - To Buy or Not in Apr 2019? 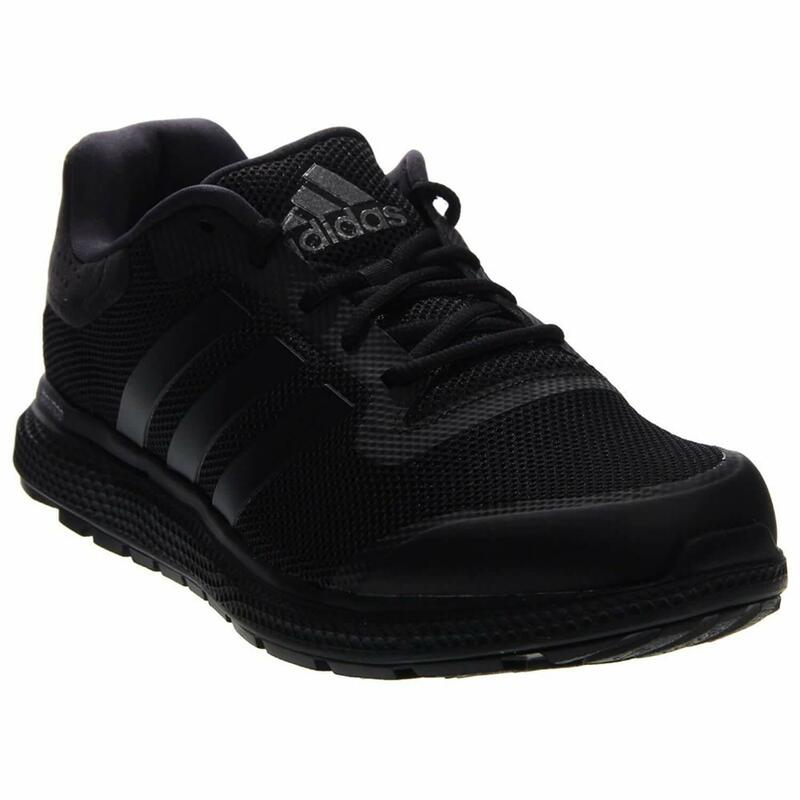 The Adidas Energy Bounce was specifically designed to do just what its name suggests–energize your run and keep you constantly moving forward in your workout routine. It has a very comfortable and cushioned BOUNCE midsole that will give your feet plenty of space to breathe while running, as well as provide you with plenty of responsiveness once you’re out on the road or the trail. It also features a breathable mesh lining that’s designed to keep your feet dry and cool, and they’re ultimately made for neutral runners because of the flex grooves that are ultimately designed for natural movement. We have spent 3.00 hours analyzing a total of 580 reviews. Love these for on the road, mid sole gives good response, I’m 4 months into running four times a week and the sole is showing wear but that's expected, the shoe has retained stability and with a rinse in water they continue to look nice. First run in these was 11 miles, though I had issues with shoes, I found that this neutral shoe gave relief to my calf pains, the toe area was a little stiff but this will settle, the single piece shoe platform gives really good low bounce. This shoe gives the right performance, I do squats, a lot of running, get relief from the neutral aspect of these, the bouncy is there for running but not over the top. Need toebox space and I get it in these, very good for the balls of my feet, at first there was a feeling of narrow but this went after a few runs, the fit is good, the traction is nice but watch out for wet tiles, it will slip. Love these as neutral shoes, very good for my feet. At first these felt just a bit tight but this problem went as the shoe stretched to fit, ventilation is very nice, the she is light but feels secure and gives stability at a neutral level, wear these for jogging and I think they deserve 4 stars. Good shoe hold around the heels, the shoes are neutral enough for medium distance running and traction is what you expect from this brand, also use these casually on hot days, they look nice with shorts. Generally I hit width problems when choosing running shoes but these are a good fit, the heel cup is very snug, these are neurtral so I do feel the benefits, breathability is better than I expected and the shoe gives me space for flexining my toes, impressive shoe. I like how light these are, the ventilation seems really good and my feet are a lot less wet than in other previous shoes. Chose these for their neutral style and I run 3 times a week without any problems, this qualifies as a decent shoe. I run a firm sandy beach, roads and hard mud trails and I have found these to be perfect. Sizing was a bit tricky but I got it right in the end. Struggled with sizing, eventually settled on a pair that seemed to fit but could feel tightness from a band which loops over the shoes and makes the shoe tight enough to make my feet numb which really can't work for me while running. Traction can deminish because I notice that the sole starts wearing quicker than I thought it would, the uppers are not durable if you use these everyday for running, evidence of tearing already after just two months. The heel cups are too snug but able to rub, ended up with painful heel blisters, I kept at it assuming I needed to break in these but this has not helped, I think I'm unlucky with these shoes, the fit for the heels does not balance for me. The toe box felt stiff on my feet and for the first few runs I had friction on my toes, however, eventually the shoe seemed to stretch enough to sort this out. The uppers have a good level of ventilation but I am seeing wearing out on the soles a lot quicker than should be. Of the 580 reviews we found in total, 9% were negative, and 91% were positive. One of the most important aspects of a run is having an adequate outsole that can put up with the abuse that you'll be putting your shoes through. When it comes to the Adidas Energy Bounce, you'll be looking at an outsole that has anatomically structured flex grooves to give your shoe a natural flexibility and a good freedom of movement on your run. This will prove to be versatile enough to suit you well regardless of whether you're going for a run or lifting weights. The Adidas Energy Bounce greatly benefits from a proprietary BOUNCE midsole that's made from only materials of the highest quality, all of them assuring springiness when you hit the ground. 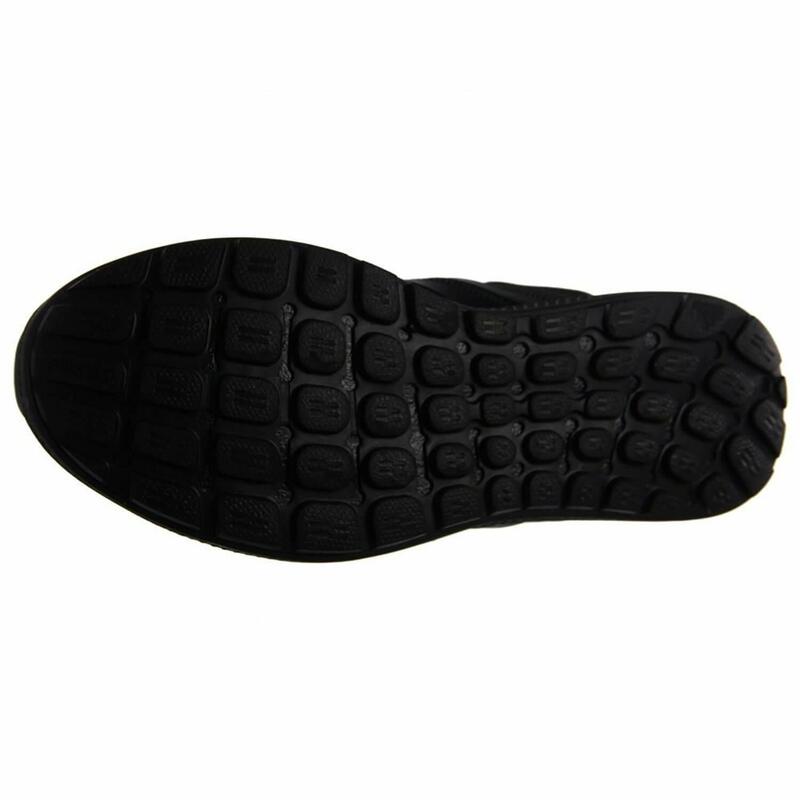 This will ensure that you get a smooth ground contact, preventing you from damaging your body while you run. Each step will land more comfortably for you and will provide for an efficient toe-off that will keep you performing at your best. The durable nature of the midsole makes it so that you don't lose structural integrity, no matter how many times you use it. The main defense you have against the elements when it comes to the Adidas Energy Bounce's upper is the super breathable mesh that will serve to keep your feet nice and cool as well as dry. It has a perforated facade that accommodates any environmental air in the surrounding area, giving the interior environment a nice and well-ventilated feel that will keep you and your feet very happy. The overlays on the shoe have been fused directly on the mesh, making it so there don't have to be any additional layers or stitching. When it comes to a good running shoe, you want something that's substantial enough to have the features that you need to guarantee a solid run while at the same time being light enough to ensure that you can get a good gait going. To that end, you'll be looking at 10.3 oz. for the men's version of this shoe and 8.5 oz. for the women's version. This is fairly light, considering just how many features are being pumped into this shoe. 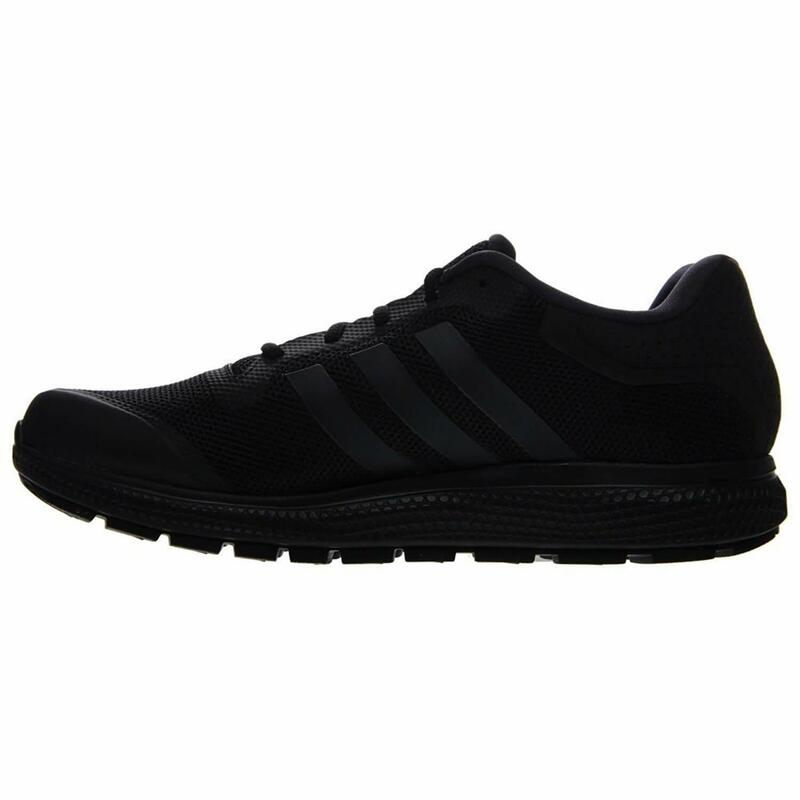 You can expect to get a good gait on this shoe while also getting good separation from the ground. 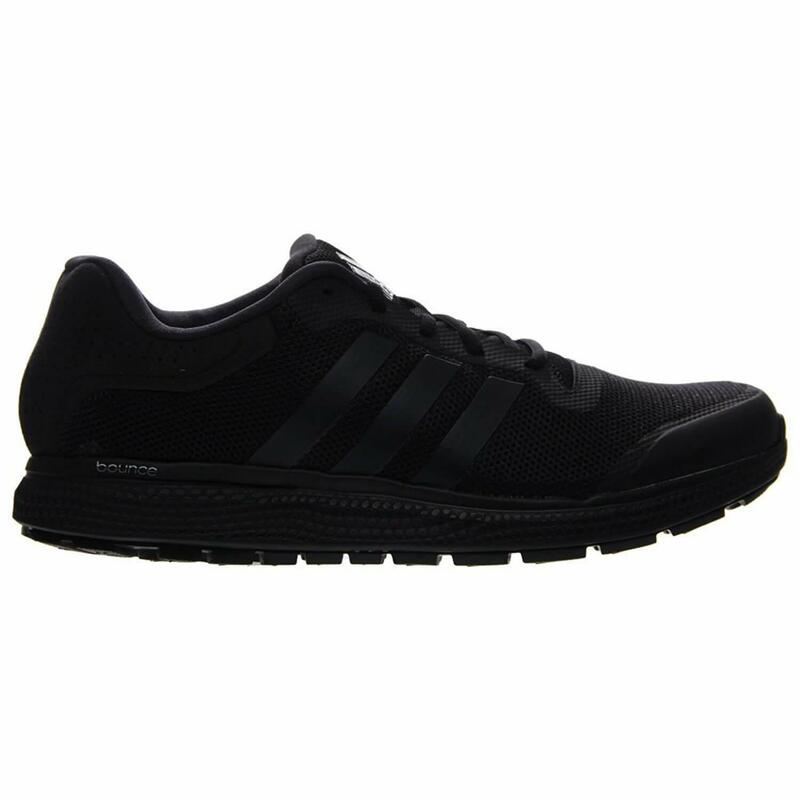 When it comes to the breathability of the Adidas Energy Bounce, you can primarily count on the breathable mesh that will give you plenty of security and safety while you're running while at the same time making sure that your feet get a nice dry, cool run. There are open pores in the fabric that allow air to ventilate all throughout the interior of the shoe, keeping the environment nice and comfortable for you. The Adidas Energy Bounce has been noted to be especially comfortable, even for outlets that don't necessarily involve running. Running sessions will be easy and smooth no matter what kind of terrain you'll be facing. You can expect a smooth and easy gait that will ensure fast race times, making this shoe especially suitable for situations where speed is at the forefront of your priorities. You can't go wrong with the brand new Adidas Energy Bounce. The style of the Adidas Energy Bounce is bold while at the same time remaining tasteful. The color options that are on display will ensure that you have enough choice while at the same time giving a nice classic look that will be sure to turn heads as you're going out for a run. This shoe is a neutral runner that features a multitude of styles of both open and closed mesh to give you plenty of options when it comes to the styling of the shoe. When it comes to the durability of the Adidas Energy Bounce, you can expect to have a solid fit that adds to the overall durability of the shoe, allowing you to keep stride without having to worry about breaking down the heel or sole. This shoe is designed to take abuse, and that includes from running surfaces that are unusual or would usually cause strain on another kind of shoe. 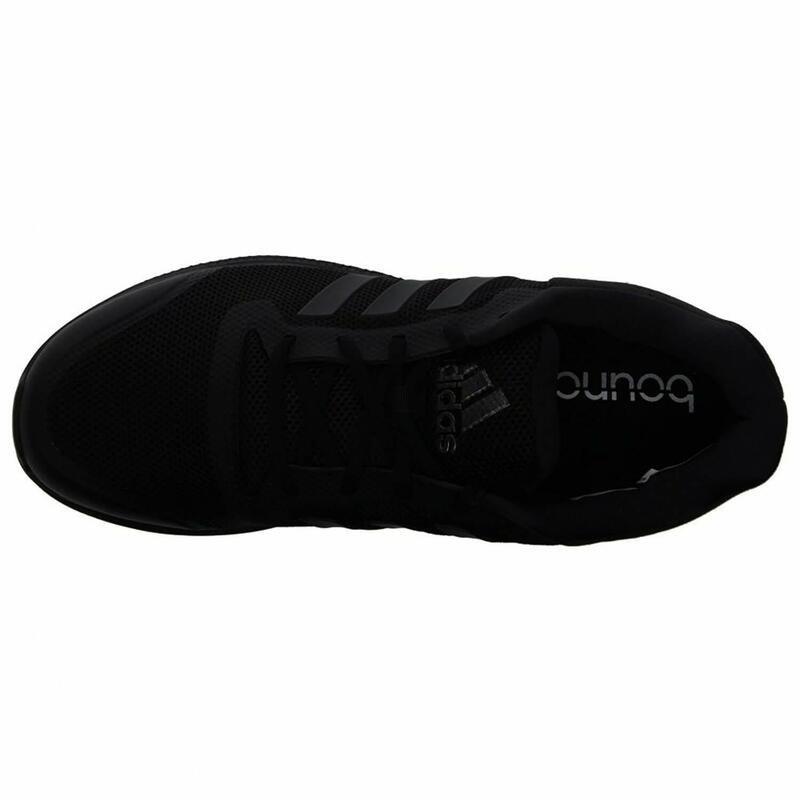 You can count on the Adidas Energy Bounce to keep you going even in extreme circumstances. The protection of the Adidas Energy Bounce all starts with the exterior, specifically the outsole. It's made of a durable material that will stand up even to asphalt on the trail, a full-length material that protects the shoe's sole from the normal wear and tear that you'd expect to see from such a shoe. There are also flex notches all along the foot to allow you to move more freely and naturally, allowing you to get the most out of your run. The responsiveness of this particular shoe by Adidas all starts with the midsole. The upper is especially responsive to the movements of your upper foot, which is integral toward getting a proper gait going. The midsole, though, is probably the most important, as it affects every aspect of your contact with the ground as well as the drop that you can expect to be experiencing with the shoe. You should be aware that the heel cup has been noted to sometimes cause blisters, so that could potentially interfere with the responsiveness. Along with the ventilation that the Adidas Energy Bounce has to offer, there's also a mesh lining in the upper that provides much-needed support while at the same time remaining as breathable as possible. This provides a better fit for your foot, ensuring that you enjoy the best possible run while you're out on the road or the trail. The arch support for this shoe is neutral, meaning it will accommodate most any arch type, ensuring that every runner has a comfortable run. The terrain on the Adidas Energy Bounce is specially designed for the road, but that doesn't mean it can't stand up to repeated use out on the trails too. You should take note that this shoe probably wouldn't do all that well on more rocky and technical terrain, so consider a more hardy shoe if you're thinking of going hiking a lot or are going offroad for your runs. Other than that, though, this shoe is well-suited to most applications. The Adidas Energy Bounce is a fairly affordable shoe for the features that it has to offer. When you consider just how all-encompassing the features of this shoe are, allowing you to traverse nearly any terrain while ensuring a lightweight, high performance, and the ability to accommodate nearly any use you might need, the price tag is actually considerably low. Even other models that Adidas has to offer aren't as cheap as this one, making it a perfect choice for those just entering into the fray. The Adidas Energy Bounce specifically has an outsole that is designed to stand up to the usual use that you'd usually see tear apart other shoes. The best way to get performance out of this shoe is to run on the road, but it also stands up in trail applications as well. As we said before, it probably isn't the best option for technical, rocky terrain, so you might want to look elsewhere if that's what you have in mind. Flex grooves in the shoe further add to the traction, ensuring that the shoe will hug just about any surface while you're running. The flex grooves that you'll find at the bottom of the outsole on the Adidas Energy Bounce are anatomically structured in a way that offers up the highest level of flexibility while also providing a natural freedom of movement. You definitely won't be restricted when you're running in these shoes. They've been specifically designed to stand up to just about any application that you might need them for, save a few extreme examples. The Adidas Energy Bounce is what's considered to be a neutral trainer. As such, it has a more springy step with a stable platform that will ensure you don't have aching feet by the time you're done with your run. The durable outsole with proprietary flex grooves will also keep your feet stable on a run. This shoe is also designed to get the job done when you're doing things like weightlifting, so having that stable base will do you a whole lot of good when you're doing squats or any other type of activity. The heel to toe drop of the Adidas Energy Bounce is 10mm for both the men's and women's version of the shoe, which is fairly good as far as drops go. You should note, though, that other similar shoes in this class have closer drops to the ground, which provide for smoother runs. Not to say that this particular drop isn't good on its own, but it could definitely be better. You probably won't notice too much of a difference if you've accustomed yourself to a closer drop in the past, but it's worth making note of. The bottom line when it comes to the Adidas Energy Bounce is that it's an incredibly dynamic shoe for what it has to offer, especially at the price it's being marketed at. The Bounce midsole gives you plenty of springiness while also ensuring that you have adequate support. The flex grooves on the innovative outsole provide a clean grip on the road while ensuring that your heel to toe drop isn't too substantial. There aren't many downsides to this dynamic shoe. The no-sew, mesh upper provides for superior breathability, allowing your feet to breathe when they're under the stress of a good run. For the price, you really can't beat the Adidas Energy Bounce.